Join us for services on Sunday, November 19, as we thank the Lord for all of his blessings. The Epleys will be singing for us in both the morning and evening service, and Bro. Epley will be preaching for both services as well. We will also be receiving our annual Thanksgiving Offering. 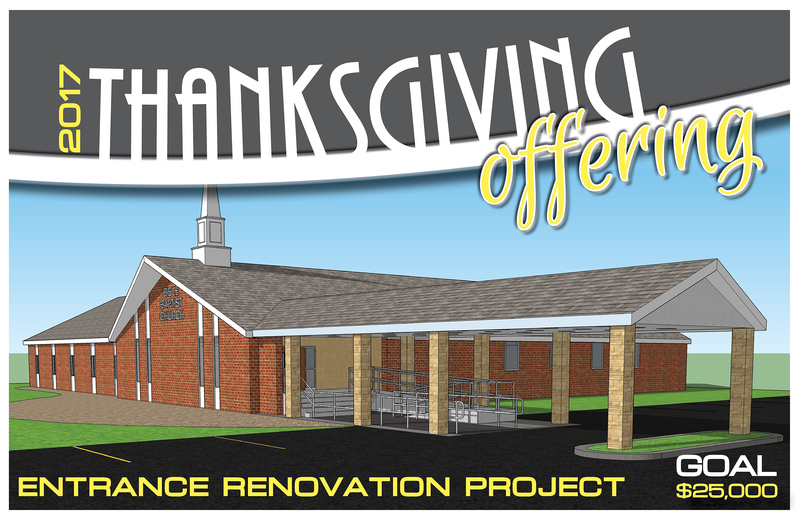 This year’s offering will go towards the entrance renovation project. Please be in prayer over what God would have you to give towards this offering. During the 5:00 evening service, we will enjoy our annual old-fashioned service. Everyone is encouraged to dress in old-fashioned clothing that evening and to join us for a Thanksgiving meal following the service. I wish to let you know that I enjoyed Sunday sermon 11-19-2017. I especially love the fellowship and the love that Pastor Kevin and his parishioners extend to everyone. The Thanksgiving meal was excellent, BBC has some great cooks. To God Be the Glory! !